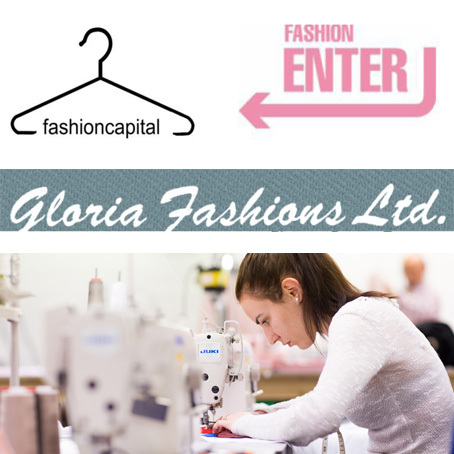 We are delighted to confirm that Fashion-Enter Ltd will be taking over the highly reputable tailoring manufacturer Gloria Fashions. Founded in 1956, Gloria Fashions was named after the sister of the two founding brothers, Robert and George King and in recent years Robert’s son David continued to run the family business. Specialising in high quality production Gloria Fashions has produced garments for high profile fashion brands, top-end British labels and even Royalty. As mentioned in Jenny’s recent article from the EEF Annual Lecture – there are grey clouds ahead for 2019 – however Fashion-Enter strongly believes that the polarisation of industry will result in retailers needing more on-shore production than ever before. Orders at Fashion-Enter’s Factory (pictured right) in North London reflect this shift, shorter lead times with smaller buys to capitalise on trends and stop landfill. Retailers emphasis is now on exit margin not intake margin. Only the UK can react this quickly, keeping production on-shore and minimising environmental impact. The proposed opening of Fashion-Enter’s Tailoring Academy is in Spring 2019 and it will be situated in Unit 4 Crusader Estate – next door to Fashion-Enter’s current Factory and their Fashion Technology Academy (FTA) Qualifications from Level 1 – 5 will be available plus apprenticeships such as the Level 5 Bespoke Tailoring standard currently being run by Gieves & Hawkes with the FTA.